Victor Frankenstein Review – Eggplante! Fascination with fictional pop culture geniuses is nothing new, and seems higher than ever lately, particularly regarding characters like Sherlock Holmes and Batman. Among those infinitely complex and seemingly timeless fictional geniuses, Victor Frankenstein, creator of iconic horror staple, Frankenstein’s Monster, is one also particularly studied and probed, with new adaptations constantly adding new layers to Frankenstein’s obsession with making life from death. The latest attempt to glean a forward-thinking adaptation from Mary Shelley’s classic 1818 novel, Frankenstein on the big screen, comes by way of 20th Century Fox, in the form of Victor Frankenstein. As the title suggests, this is a movie far more about the man than the monster, with the monster in fact virtually being an afterthought. Told from the perspective of hunchbacked assistant, Igor, made into a proper and civilized normal-looking man by some rough medical equipment early in the movie, Victor Frankenstein gives us another dive into the psychology of a controversial madman. Certainly, there are better Frankenstein-inspired movies that exist, particularly when the monster first came to prominence as one of the Universal Monsters, but even if it’s a bit goofy and disposable, Victor Frankenstein can still be solid fun. It’s not much of a horror movie, but if taken as a Sherlock-esque glorification of Frankenstein’s social awkardness and mad science, the movie works well enough to merit the ticket price for those interested, even if it also doesn’t compare to many of the other big movies that released for this Holiday season. Victor Frankenstein would have been well and truly sunk without its powerhouse cast, headlined by an unhinged James McAvoy, and a compelling Daniel Radcliffe, as the title character and assistant, Igor, respectively. Contrary to the title, it’s actually Igor that functions as the movie’s main character, telling a Sherlock Holmes-style narrative where the perspective is instead centered upon a man bearing witness to the mad genius of a misunderstood sociopath, rather than getting directly into the head of the sociopath himself. Much like for Igor, a lot of Victor Frankenstein is built around reacting to McAvoy’s take on the character, a more youthful, and more actively deranged lunatic that is seen as a social pariah, and one facing imminent expulsion from his university, due to not attending classes, in favour of his twisted experiments. Some may take this de-aging of Victor as a means to more cynically try to trick younger audiences into theatre seats, but McAvoy’s incredible energy and conviction in the part is nonetheless something to be commended. 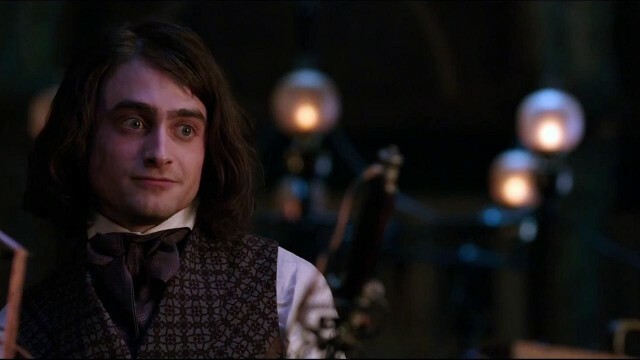 Likewise, Radcliffe’s Igor is not portrayed as a hideous, equally eccentric horror, but instead as a grounded, intelligent young man who is simply the victim of a life of misfortune, misfortune that could be made better or worse by Igor escaping the circus, and working with Frankenstein. For all its uproar about asserting that too many people mistake the name ‘Frankenstein’ for the monster, rather than the man it’s supposed to be attached to, Victor Frankenstein at least succeeds at showing that the man can be as interesting as the monster. McAvoy and Radcliffe also work well together to boot, even if Igor’s storyline feels slightly less interesting, due to re-treading the idea that the ugly man just wants a beautiful woman that he silently admires to notice him, in the form of a trapeze artist that also ends up escaping the abusive circus they once lived in, to be a beard for a nobleman. Obsession is a major theme of Victor Frankenstein, but the movie is ultimately afraid of portraying Igor in anything less than a wholly likable light, sometimes to the fault of his plotline. Nonetheless, we get an antagonist that provides a solid antithesis to Victor, Inspector Turpin, a good, God-fearing detective with an obsession of his own, as he continuously struggles with the idea of what Victor is up to, only having a hunch that he must be stopped. Sherlock’s Andrew Scott portrays Turpin, a sympathetic lawman also threatening to be outdone by his own inability to let go, with the movie attempting to peel back more layers of Turpin’s own psychology as it goes on, until the predictably violent clash between Turpin and Victor toward the movie’s climax. He makes for a solid enemy in lieu of the monster, who is only glimpsed during the final minutes of the movie, to help enhance the aforementioned climax. A lot of things are held together by the lead performances, which is why it’s wise that the bulk of the movie focuses on the leads, and not really anyone else. The ever-increasing derangement of Victor, whom even the movie acknowledges already has his story well-known among audiences, is nicely unsettling, particularly as he ranges so effectively between seeming to be a misunderstood innovator, or a blaspheming psychopath. Avid fans of Frankenstein will probably prefer prior portrayals of the good doctor (who isn’t even technically a doctor in his more youthful incarnation in Victor Frankenstein), but if you’re less familiar with those movies, or the source novel (and let’s face it, many younger viewers in particular probably haven’t experienced either), Victor Frankenstein makes for an enjoyable gateway drug to the story’s appeal, since it succeeds at demonstrating why people are so fascinated by the character of Victor Frankenstein, even centuries later. 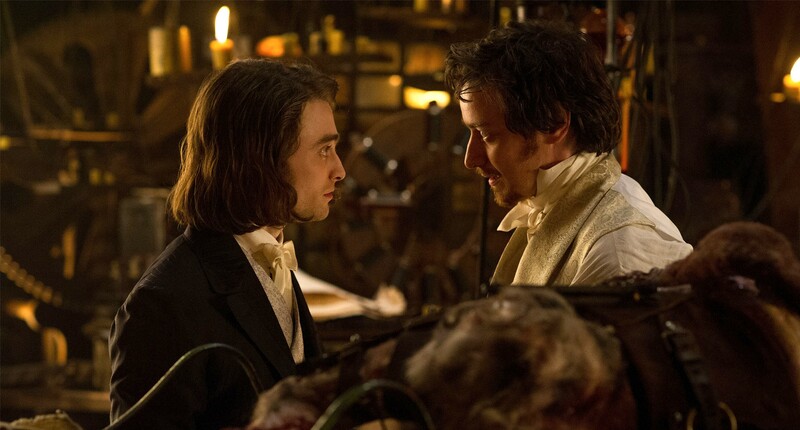 Victor Frankenstein spans the first meeting between its title character and his new assistant, Igor, up to their initial creation of the iconic Frankenstein’s Monster. The movie attempts to subvert prior Frankenstein-inspired stories by highlighting the man over the monster this time, and at least does that reasonably well, even if it’s clearly taking inspiration from Guy Ritchie’s Sherlock Holmes movies in particular, with its comically eccentric title character, and steampunk-esque Victorian atmosphere. Some of the story beats are predictable, though the movie directly exploiting the device that people only remember the monster when they hear the name ‘Frankenstein’, never the man, is kind of clever. 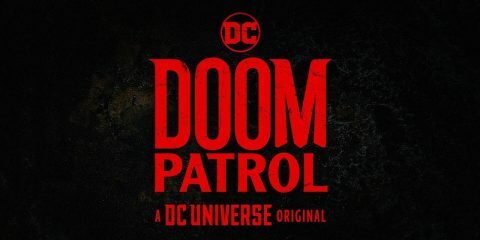 The way that the movie uses popular perception of the name, and what it pertains to, makes for an interesting story device that almost makes Victor something of a tragic hero, a man so driven by an unknown motivation that Igor discovers as he goes, that said drive may be his ultimate downfall. 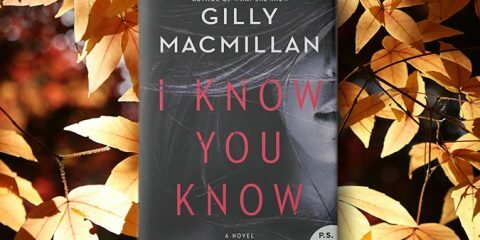 Right as you think you know McAvoy’s Frankenstein, you’ll see enough things that will continue to surprise you, which help to keep the story interesting, even as it re-treads some familiar ground. Again, there have been better Frankenstein stories, but the one portrayed here is engaging and fun, if you’re willing to let go of those former tales, assuming you’ve even experienced them at all. Some of the familiar, well-trodden beats of the Frankenstein tale are revisited, and not all of them are given bold and fresh new elements, but the movie nonetheless offers enough out of the ordinary to make it a solid case to think more of the man over the monster. Given the movie taking so much clear inspiration from the character and legacy of Sherlock Holmes, another Victorian-era icon of literature, it’s unsurprising that Victor Frankenstein is helmed by Sherlock’s Paul McGuigan, who throws all of his directing chops behind the title character, to the point where it feels like the rest of the story is give-or-take at times. 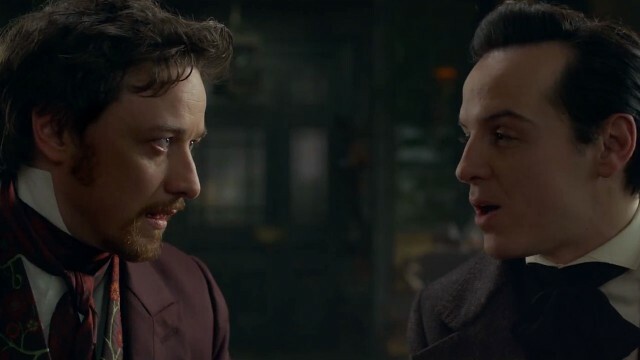 Maybe that’s the idea, though at least McGuigan makes another interesting eccentric out of the character of Victor Frankenstein, working particularly well with James McAvoy in that part. As for the movie’s atmosphere, it feels derivative of Guy Ritchie’s Sherlock Holmes movies, like I said, between the steampunk elements and literature-style credit sequences. Despite that, right up until the climax, it feels like the movie is entirely a character piece, abandoning the setup of the world at large, for the most interesting man that seems to be inhabiting it. 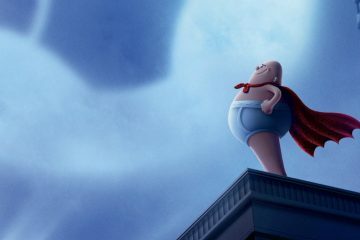 This does however create a bit of an awkward gear shift in the lead-in to the climax, when the movie suddenly does decide to become an atmospheric spectacle, with McGuigan suddenly channeling everything into an especially large and modern transformation of the famous monster for the movie’s conclusion. One could say the direction is a little uneven, since much of Victor Frankenstein doesn’t really feel like a blockbuster, but its lead performances and character work have enough appeal to get by. The movie doesn’t stand apart from other, better Frankenstein-inspired movies in the long-term, which is a shame, considering that it’s right when it claims that people remember the monster more than the man, but even if it misses part of an opportunity to change that, Victor Frankenstein is at least thematically sound, anchored by sharp performances and an interesting new take on the mythos, in lieu of heavy spectacle or horror. Victor Frankenstein’s soundtrack is composed by Craig Armstrong, a man who is no stranger to bombastic, epic soundtracks, given his work on movies like Romeo + Juliet and The Incredible Hulk. In fact, Armstrong’s hefty orchestral score feels like another element taken wholesale from the Guy Ritchie Sherlock Holmes movies, with the music almost feeling like it’s desperate to provide the spectacle that most of the movie doesn’t seem all that interested in. More noticeable though is that the sound mixing sometimes feels off with the music, which feels like it’s blaring over certain scenes for its own sake. The rest of the audio, naturally, feels very steampunk, being groaning, creaky and having an austere sense of old-world might. 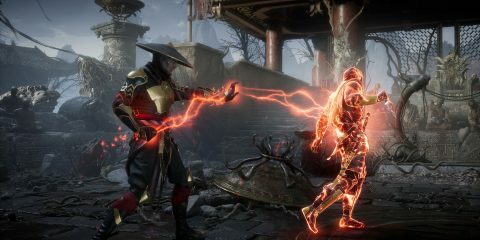 Again though, it feels like the sound work is louder than the dialogue in certain scenes, and some of the audio effects are positively ear-splitting at times, to a fault. It comes off as obnoxious, as if the movie is afraid that audiences are somehow going to be bored by James McAvoy’s wired Victor Frankenstein. 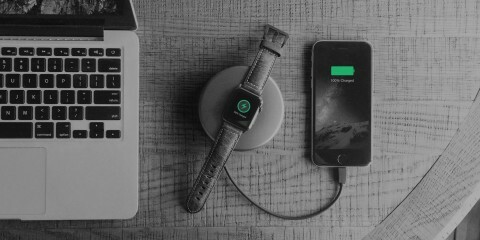 It really doesn’t need to try so hard, as the foundation of the audio is fine, without needing to strain to grab attention. 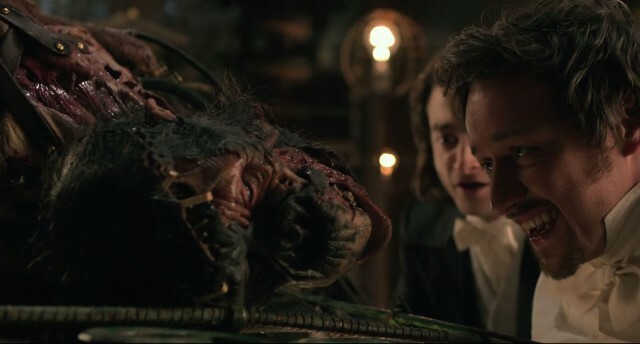 As I said, most of Victor Frankenstein isn’t put together like a blockbuster, though it does have a few effects-driven moments, primarily involving the twisted creations of its title character. 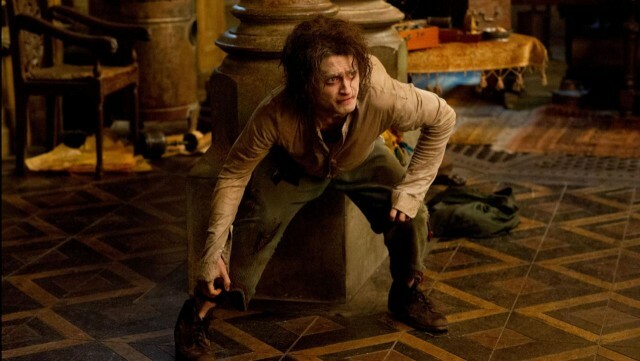 There’s some decent hunchback effects applied to Daniel Radcliffe to start, though the best, rare moments of horror tend to come in when you see the creations that Victor actually stitches together from chunks of dead organic matter. In fact, surprisingly, a monstrous animal abomination that Victor brings to life around midway through the movie carries more impact than the famous Frankenstein’s Monster in the climax, which looks alright, but definitely not terrifying. It’s likely the difference between the fact that the beast is a practical effect, while the monster is largely done via CG, making the beast feel more real and twisted, and far more terrifying as a result. The rest of the atmosphere also feels understated, until it suddenly comes to the forefront in the climax. Some may feel that the moment is overdone, for the sake of it feeling more ‘modern’, as it were, but even if it’s an awkward gear shift, there’s nothing fundamentally wrong with the effects involved, even if they suddenly throw practicality to the wind when it comes to otherwise trying to ground the Frankenstein myth for the movie’s middle portion. As you can see, there are plenty of flaws in Victor Frankenstein. Between that, and the fact that audiences seem to be becoming progressively sick of blockbuster attempts mined from the public domain, its box office failings are perhaps understandable. 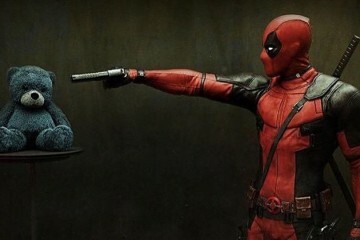 It bears reminding however that there is a difference between a flawed movie, and a bad movie. Victor Frankenstein is flawed in several respects, from its abrasive audio and mismatched stylings to its occasional failure to truly break ground in the long adaptation legacy of Frankenstein, but it’s still entertaining enough for those interested, thanks to good lead performances, and a solid amount of thematic inspiration. 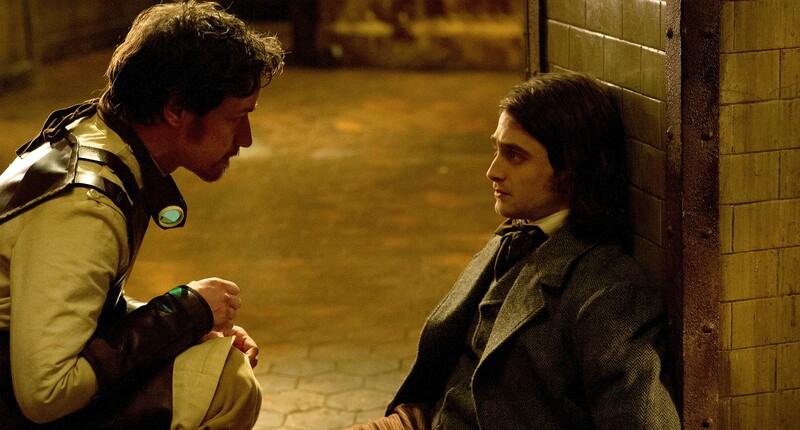 Victor Frankenstein may not succeed at everything it sets out to do, and it’s more disposable than many of the better Frankenstein-inspired adaptations, but those interested will find enough fun and intrigue to be satisfied, should they keep an open mind. The idea behind the movie is plenty sound, as people still mistake the name of ‘Frankenstein’ as belonging to the famous monster, not his creator, so perhaps making a movie about the man, and pushing the monster into the background, wasn’t a bad idea. Should you see Victor Frankenstein then? Well, if you enjoy these kinds of character studies about eccentric pop culture weirdos that the modern era seems to have fallen hard for, then the movie is a decent one, if not the best of them. You could be forgiven for wanting to wait for a home viewing rental, but if you enjoy Frankenstein stories, you’ll have a decent amount of fun with this one, even if it’s no doubt not going to make the man overtake the legacy of his creation. Victor Frankenstein is a flawed movie, being occasionally tonally confused and inconsistent in its production values, but it's entertaining enough to satisfy for those with an open mind, thanks to strong lead performances, and genuinely inspired themes about the legacy of the man versus his monster.